Karen DeRose grew up immersed in the life insurance business. Her father spent his career as a top-selling Prudential agent. And she learned first-hand about life insurance when her mother died when DeRose was only 7. But when it comes to who approached who about getting into the business, there’s a bit of “he said, she said” between DeRose and her father, Ronald Sempetrean. DeRose, 56, said when she first talked to her father about entering the insurance business with him, his answer was no. “He said, ‘Go out and sell something,’” she recalled. She went to work for an office equipment company in her hometown of Chicago, becoming their top-producing copier salesperson after three years. Regardless of whose account is correct, DeRose spent three years with her father. She learned the life insurance business from the man who had been Prudential’s top-selling agent in 1972, back when the carrier had 26,000 agents. She joined Lincoln Financial Group and started her own financial planning practice, DeRose Financial Planning Group, 22 years ago. 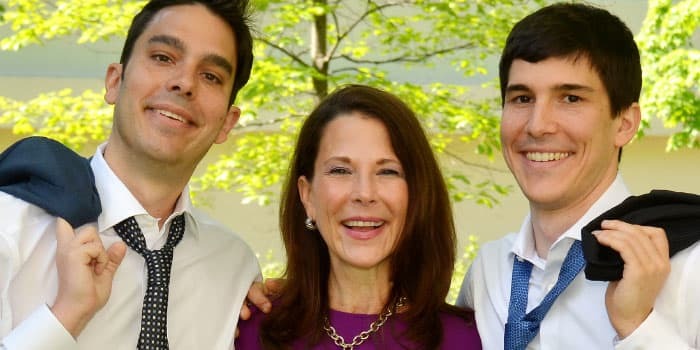 Today, her two sons and her niece are among the seven members of her practice team. DeRose and her family are Chicagoans to the core. Her father serviced debit accounts in the neighborhood surrounding Wrigley Field. DeRose’s office is near the edge of the city, not far from Interstate 90 and O’Hare International Airport. Her office location attracts clients from both the city and its suburbs. Her success earned her the 2018 Infinity Award from Women In Insurance & Financial Services. WIFS presents the award to the member with the highest income for the year. The practice is expected to end 2018 at the $2.33 million mark, DeRose said. DeRose said the life insurance business was a way of life for her family when she was growing up. “My father was in the business, but then when my mother died leaving five kids under the age of 10, we also understood the value of insurance because of what happened to her,” she said. But DeRose didn’t get into the business right away. She married her husband Tony at age 19 and had two sons, Anthony and Nick. During this time, she also was working for a nuclear engineering firm in Chicago. The firm’s leadership saw potential in her and paid for her to attend college. She graduated with an accounting degree at age 32. DeRose eventually left the engineering firm, sold copiers and made her way into the life insurance business. But her father’s words about financial planning being the future stuck with her. She found a certified financial planner to mentor her, then she obtained her securities licenses and her own CFP certification. Sempetrean said that even though he was a top seller during his Prudential days, he regrets that he did not become certified as a financial planner. Many advisors are eager to pass their practice down to the next generation, only to find their children aren’t so enthusiastic about joining the profession. DeRose’s sons, however, wanted to join their mother in her practice. 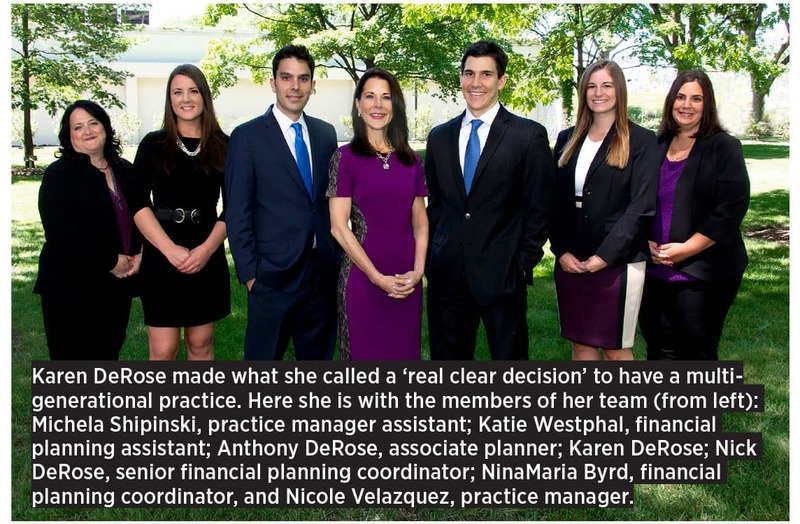 Anthony joined the practice six years ago, at a pivotal time for DeRose. Nick studied financial risk in college and interned with his mother’s company. But he wanted to be a doctor, only to find that medical school was not for him. He found his way back to financial services and is now the agency’s senior financial planning coordinator. DeRose’s niece, Katie Westphall, serves as a financial planning assistant at the agency. 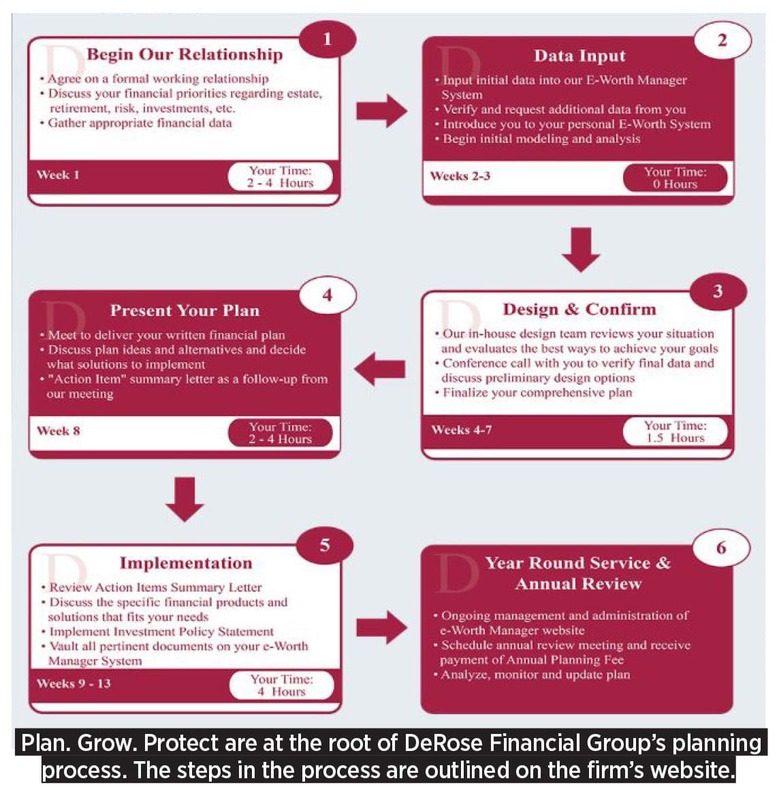 DeRose’s father may have seen financial planning as the future, but DeRose predicts advisors will need to find a way to combine advice with technology. She said advisors would have to do web and video conferencing. But life insurance will continue to be the bedrock of a family’s financial plan, she said. DeRose’s father often told her of his experience delivering death benefits to those whose spouse or parent had died. That question — Is there any more? — haunts her today and reinforces her desire to help others provide for their families.